Just what are urban kids getting into when they stop at the corner store on their way to and from school? A study by Temple University&apos;s Center for Obesity Research and Education revealed that for a "little more than a dollar" city kids can walk into a typical corner store and fill up with 350 calories of low-nutrition junk, and for many, it has become a way of life and gateway to obesity. Brianna Almaguer Sandoval of The Food Trust in Philadelphia said that in low-income neighborhoods, finding a source of nutritious food can be difficult, particularly for young people who lack transportation to supermarkets located outside poorer communities, which some have dubbed "supermarket deserts." "It&apos;s just corner stores on every single corner, literally," Sandoval said. Shoppers in these stores are not likely to find much fresh produce; Sandoval said on average "only 11 percent of the items stocked by a typical urban corner store would even be considered healthful." Her childhood experience was different, Sandoval noted. "I grew up in a suburban/rural area north of the city — it&apos;s actually the complete opposite: Every single corner was selling fresh produce. It was never really an issue. Coming to Philadelphia, you can see the issue everywhere." And it&apos;s not just Philly. Epidemiologist Melissa Nelson Laska at the University of Minnesota led researchers who looked at corner stores in Minneapolis, Baltimore and Oakland, Calif., as well as Philadelphia. They determined that while regional differences are apparent on store shelves, overall the lack of healthy fare in corner stores compromises efforts to promote healthy eating in poor communities across the nation. Canvassers asked permission to look in 833 young shoppers&apos; parcels to examine their purchases, taking note of each item, its ingredients and nutritional value. Not terribly surprising, nacho cheese-flavored chips, sugar-sweetened and artificially flavored drinks and candies topped the list. And unfortunately, other studies have shown that it can be cheaper to get full on junk food than healthier, perishable options. But what troubled researchers wasn&apos;t so much what the kids bought but the central role such unhealthy fare played in their diets. While the study found that 53 percent of fourth- to sixth-graders in the study area shopped in corner stores, at least occasionally, a significant proportion, about 15 percent, reported they shopped in corner stores both before and after school, five days a week, consuming up to 3,560 calories per week in junk food and soft drinks. For these children, the corner store is a potential health threat. But Sandoval isn&apos;t casting corner stores as the enemy. She wants to recruit them as allies in promoting healthy eating habits. 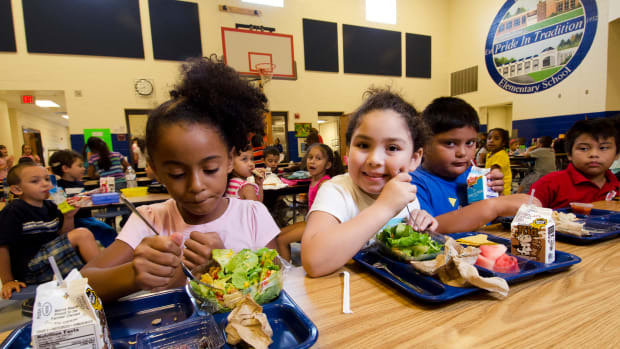 While the majority of the students in Food Trust&apos;s service area are eligible to participate in free or low-cost school nutrition programs, many of the children from low-income households skip these meals, choosing instead to snack on foods from the ubiquitous bodega. Sandoval says students that she interacts with offer a variety of explanations: transportation that arrives too late for school breakfast programs, they don&apos;t like the food the schools offer, or even ambience. 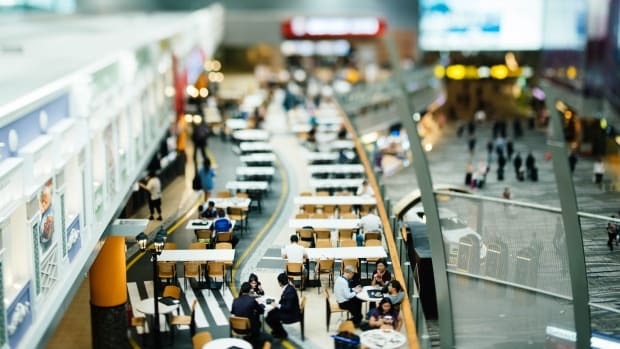 Some kids say "it&apos;s just not cool" to eat in the cafeteria, under the watchful eyes of adults, when they can buy a snack at the store to nibble at their leisure. Sandoval says the Healthy Corner Store Initiative spends considerable time with fourth- through sixth-graders in workshops and classroom activities to improve their troubled relationship with food. Finding time in the academic calendar can be a challenge, Sandoval says. Of equal importance, workshop instructors must address the skeptical attitude of the fourth graders who she says, "want to know, &apos;OK, so — why are you here?&apos;"
But she says activities like snack food "special missions" and opportunities to work with Food Trust&apos;s Youth Leadership Programs can win over the kids. After absorbing the healthy snacking message, the students came up with a promotional campaign with the logo "Snackin&apos; Fresh" and the slogan "Fresh is Best" to help merchants advertise healthy alternatives in the neighborhood shops. Of course merchants have their livelihoods on the line and are often cautious about changing things too quickly. Kristin Roberts, a community nutrition associate for the D.C. Healthy Corner Store Program, a similar effort in Washington, said, "You don&apos;t just walk in and say, &apos;Hey start carrying fruits and vegetables.&apos; We&apos;re talking months, even up to a year of building up trust with the business owners, giving them less risky suggestions at first, and building up to the riskier things, such as perishables." Often with no more than two aisles of shelving and prime space reserved under contract for particular vendors, Roberts said, it is still possible to make effective changes. Even snack food suppliers have healthier options, she said. "For instance, pretzels are lower fat than regular chips. "You have to meet them where they&apos;re at and start from there." In Baltimore, researchers led by Hee-ung Song and Joel Gittelsohn of Johns Hopkins University worked with corner stores and two local supermarkets for more than 10 months to improve their stocking and promotion of healthier products. In the November issue of Public Health Nutrition they reported that stocking and sales of those products increased "significantly," suggesting that such interventions were feasible. And in November&apos;s Health Education & Behavior, they reported that working with those same stores&apos; patrons led them to buy more products carrying a label showing they had been vetted by the Baltimore Healthy Stores initiative. To lower the risk of spoilage involved in stocking perishables, Sandoval offers refrigerated barrels to merchants who want to carry fresh fruit salads with the children&apos;s Snackin&apos; Fresh logo, successfully placing the item in dozens of stores. One entrepreneurial owner seized the opportunity to wholesale fruit salads that he prepared at his deli counter to several corner stores around his community. She believes kids are getting the message. "Almost all of the students we surveyed have tried the fruit salad — many of them more than once." Sandoval plans to continue the evidence-based approach. The study in its coming phases will track changes in students&apos; body mass index in response to their new awareness and the availability of wholesome alternatives. Meanwhile, she says activists from cities across the country have joined in an emerging Healthy Corner Store Network to share ideas and practices for healthier kids and healthier communities. 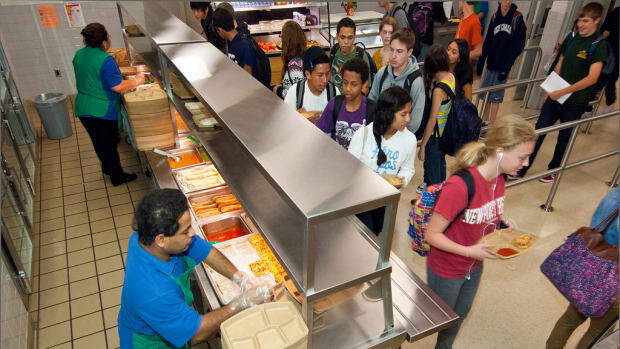 Do Kids Actually Eat the Healthier School Lunch Option? Substituting junk foods with fruits and veggies.